Keith Haring (1958 – 90) American artist of the 1980s. 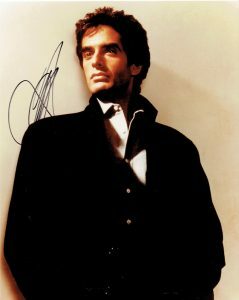 “Someone Like You” Warner Brothers Records, 1986. 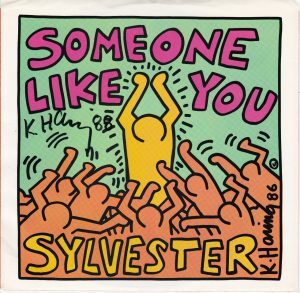 45rpm record by Sylvester in picture sleeve illustrated by Keith Haring. 7″x7-1/4″ inches. 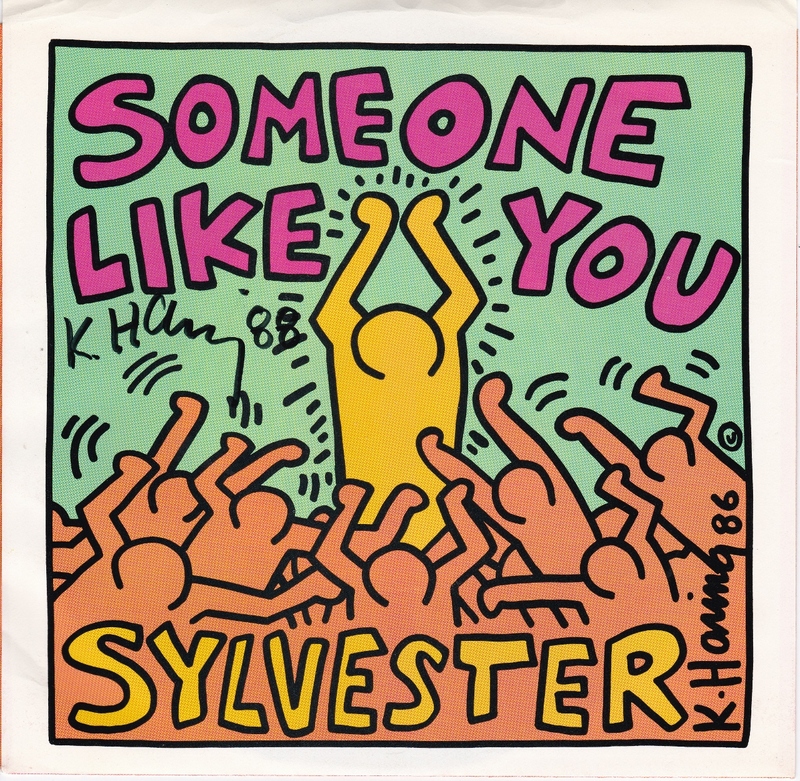 The color illustration by Haring shows a radiating person on stage in front of an adoring crowd with upthrust arms. 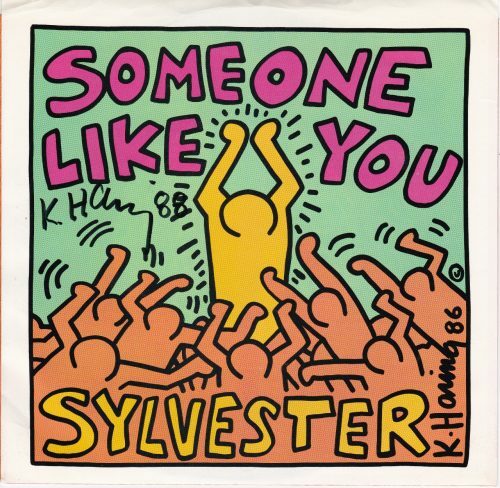 The image has a printed signature and an original Signed by Haring “K. Haring” and dated ’88. Fine condition.